Hundreds of people gathered in Lake Elsinore, California, on Jan. 17 at The Storm Stadium in an attempt to break the Guinness World Record for the largest circuit training held in one location. The current record is 2,061 participants in Melbourne, Australia. Brittney Aanestad, service attendant of the event, began her morning with helping participants register for the event. Aanestad said the exact number of those in attendance will be known in two to three weeks after the event to determine if the current world record is broken. The event flyer was featured on the California Baptist University Recreation Center Instagram page and encouraged students to be a part of the event that expected more than 4,000 people in attendance. 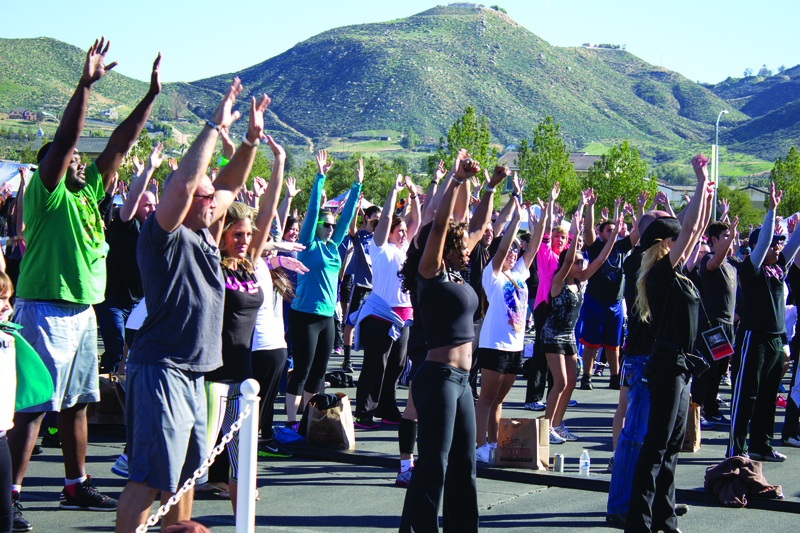 Participants were given a variety of exercises by local mayors, city officials and fitness instructors, including realty TV stars Gillian Larson and Cristi- na Coria from “Survivor” and Wendy Ida, an award-winning bodybuilder and fitness expert. Natasha Johnson, mayor of Lake Elsinore, stood on the stage and said she was excited to be a part of the event and large crowd of people. Along with trying to break the Guinness World Record, the event had various donation opportunities for four charities, including Boys & Girls Clubs of Southwest County, Rancho Damacitas, Oak Grove Center and Conquer Chiari, a national group fighting chiari and syringomyelia diseases. Bob Wieland, a Vietnam War veteran who lost his legs to a mortar mine in 1969, spoke in front of the crowd at the event. Weiland, who said he was pronounced dead on arrival at the hospital, also said he was excited to be alive and at the event. Weiland serves as a motivational speaker to universities, high schools, military bases, conventions and churches. Weiland gave a word of prayer thanking God for the difference that will be made in other’s lives from the donations at the event.